The Orangery is located in one of London’s most beautiful settings and is situated within the grounds of Holland Park. The Orangery played host to Lord and Lady Holland’s many receptions, a space flooded with natural light, to this day both elegant and charming. Outside you will find a beautiful rose garden which is memorable for it’s beautiful blooms but also for the fragrance that wafts across the lawns. This prestigious venue is available to hire for corporate and private events, weddings, art exhibitions or other suitable occasions. The Orangery is well known as a hidden gem in one of London’s most beautiful settings. A glass and stone palace built for Lord and Lady Holland’s soirees, it provides a blank canvas space that is both elegant and charming. 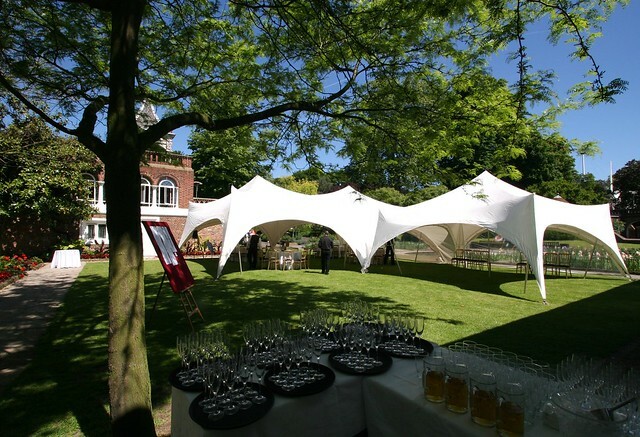 The Orangery comfortably caters for 80 seated guests and a marquee may be added on the lawn to accommodate larger parties. The Kyoto park, built in 1991, is a magnificent Japanese garden which is only a hop away and adds a unique charm to this beautiful location. This is a really unique wedding venue set in one of London’s prettiest parks just a short walk from High Street Kensington. The venue is licensed for wedding ceremonies as well as hosting wedding receptions. The Orangery is hired empty, and any furniture, lighting, AV etc requirements will need to be hired in separately.